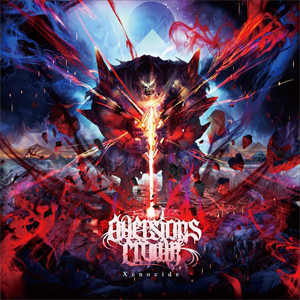 Australian metal destroyers AVERSIONS CROWN will release their sophomore album entitled Xenocide on January 20th via Nuclear Blast Entertainment. Today, the band has released a lyric video for the brand new track "Ophiophagy" below. Fans can now pre-order the album with or without the limited "Erebus"/"Parasites" 7" from the Nuclear Blast web shop. Xenocide can also be pre-ordered digitally from iTunes, Amazon and Google Play. Pre-order the album digitally via iTunes or Amazon and receive the songs "Ophiophagy" and "Erebus" instantly.